I have composed the score and designed the 360 Ambisonic Spatial audio for this new work, a collaboration between ERTH, StartVR and AFTRS – which premiered at ACMI in Melbourne and will be screen as part of Adelaide Film Festival in 2018. 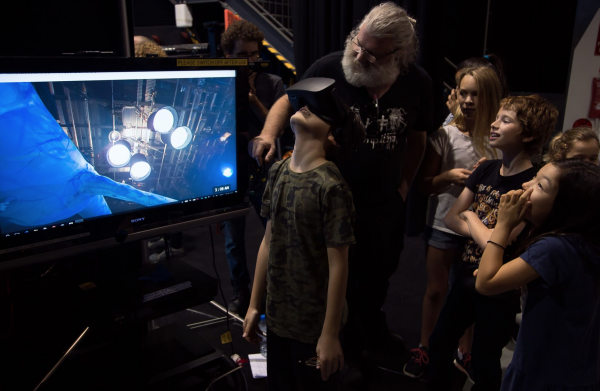 Prehistoric VR is an immersive encounter by internationally renowned makers of large-scale puppetry experiences Erth Visual & Physical Inc, and award winning visual artist and filmmaker Samantha Lang. 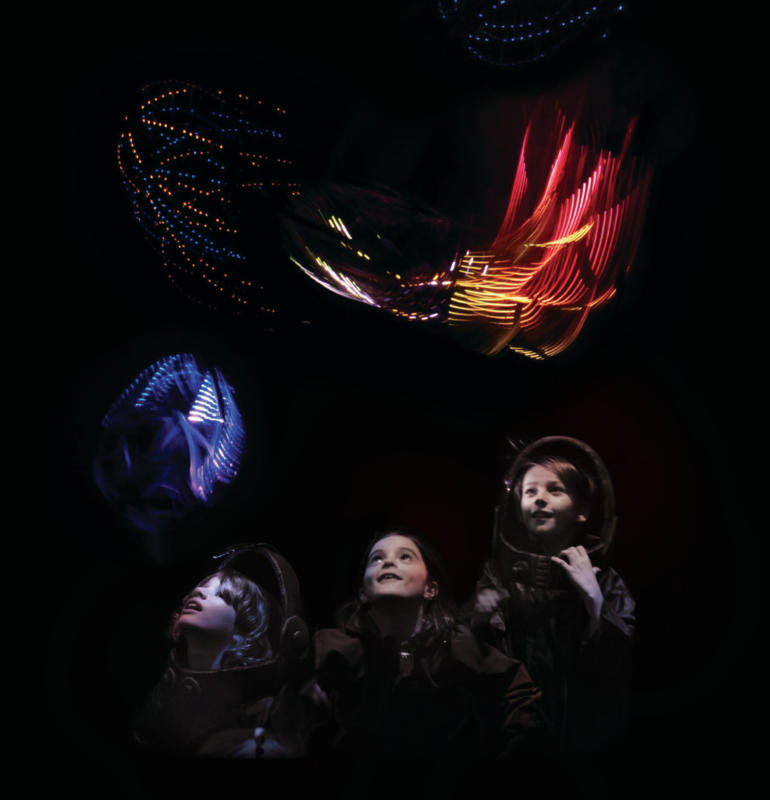 Based on Erth’s stage show Prehistoric Aquarium, Prehistoric VR invites kids big and small to travel back 200 million years to encounter some of the strange, wonderful and terrifying creatures of the prehistoric deep. Up close and personal with an amazing array of aquatic creatures from the Ediacaran to the Cretaceous periods, this groundbreaking VR experience connects audiences to the real science of paleontology. The experience sends you back 200 million years to the ocean floor for an encounter with ancient sea creatures who were once native to the region that became Australia. Expect to have run-ins with bioluminescent jelly fish, anglerfish, anomalocaris, paracyclotosaurus, dickinsonia, plesiosaurus and kronosaurus. Prehistoric VR, which you watch via the Google Daydream View headset, shows the 360-degree puppet stage for slightly over eight minutes. It takes you from the sea floor to shallow waters, introducing large and small creatures at varying depths. “Combining the ‘realness’ of puppetry with VR’s transportation to a ‘virtual place’ we in effect trick the human mind twice, enhancing the suspension of disbelief beyond anything we have been able to do to date,” Wright said.